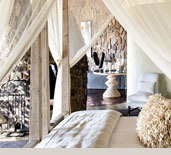 Specially prepared safari ideas for Singita Boulders. 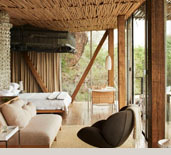 + Stay total 6 nights and pay only for 5! 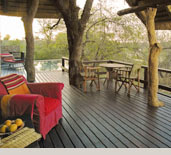 Add-on local roundtrip flights from Johannesburg to Singita airstrip. 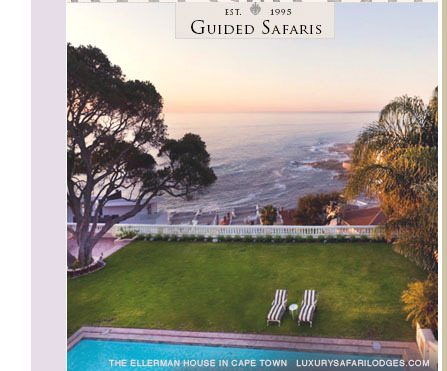 Package includes all local roundtrip air as applicable: Jo'Burg to Singita and onward to Cape Town. 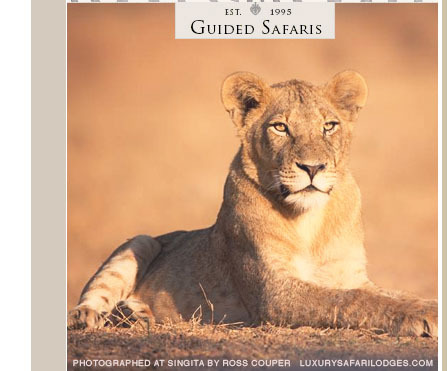 Luxury Singita Package notes: *Excludes holiday travel from Dec 19, 2015 to Jan 16, 2016. 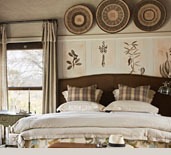 Minimum nights per packages applicable for free night offers to apply. 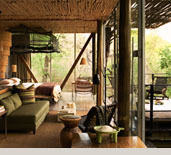 Talk with a knowledgeable Singita Specialist right here in the USA. 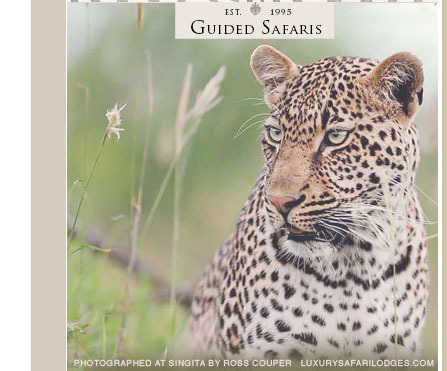 Get answers about the Singita Boulders experience and complete help in reserving your perfect safari today. 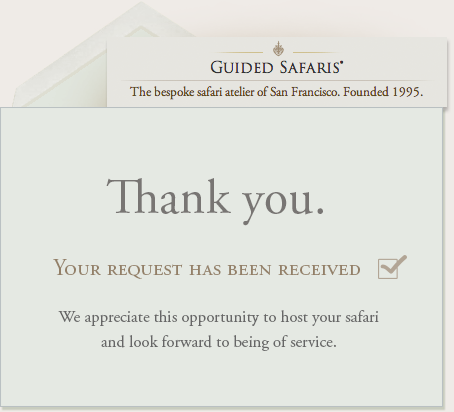 and ask for Singita reservations. 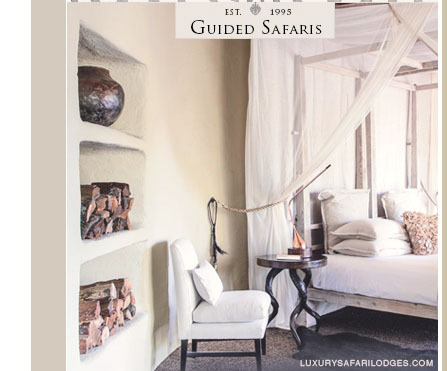 of Guided Safaris® & Singita Game Reserves throughout Africa.